A Perfect Fit. Every ring. Every time. CLIQ’s dedication to combining precise engineering with artisan craftsmanship ensures comfort, security, and a proper fit. We know that every piece of jewelry is valuable. Beyond the price tag, our most prized possessions often have priceless sentimental value. That’s why we analyzed every detail when designing the CLIQ system, ensuring a technology that you trust with your most precious jewelry. You’ll hear it. That comforting “click” that tells you your ring is securely closed. To activate the mechanism, simply press the “dimple” with the precision stylus. CLIQ is designed for ease of use and without snagging your clothing, catching on your hosiery or chipping your nails. Durable enough for everyday use, CLIQ comes with a five-year guarantee. 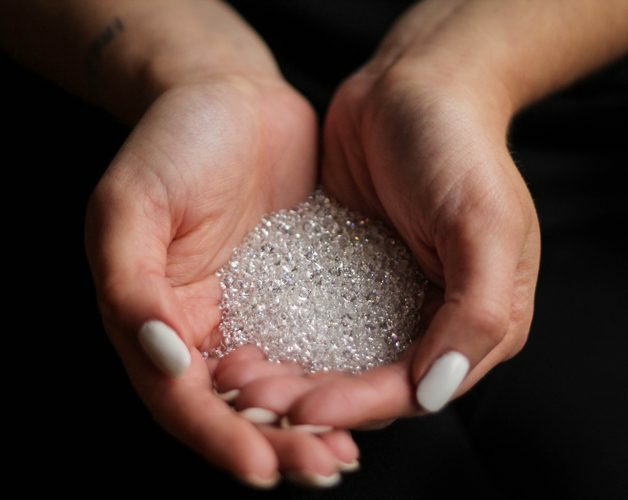 You care about where your jewelry comes from and how it’s made—and we get that, because so do we! To us, responsible sourcing means using materials that promote a better future for our world, and that’s why our studio uses recycled precious metals content as well as conflict-free gems and minerals. Our supply chain positions social and environmental ethics at the forefront of its priorities—so you can be assured that the ring that changed your life will also be making the world a better place for everyone. 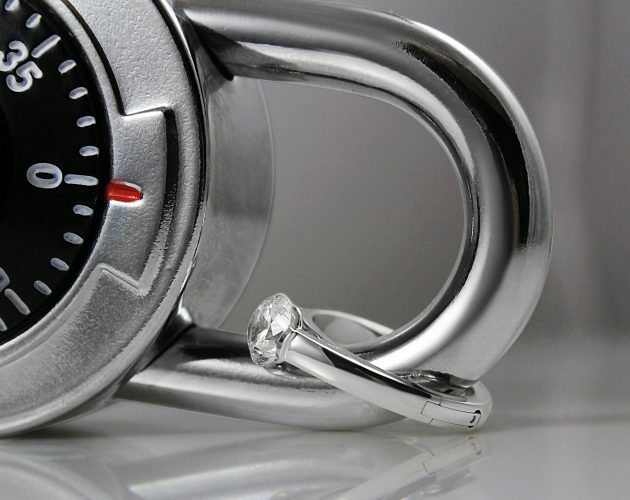 Over the years CLIQ has established relationships with the top jewelry professionals in the US and abroad. Use our search tool to find a CLIQ retailer near you. Preview our wide selection of designs, customize to your exact specifications, and then contact us to discuss placing an order. 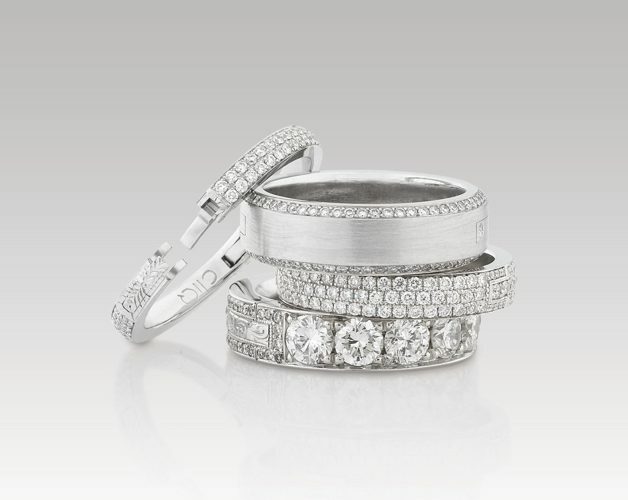 Any ring, any style…Learn how to make your most cherished rings fit perfectly by retrofitting them with CLIQ. See our most frequently asked questions to learn more about CLIQ!